Get the story started with index cards. Auto-format your script to industry standards. Navigate & arrange scenes with drag & drop ease. Share script excerpts with your social followers. Import from FDX; Export to PDF. Condense your script into a comprehensive shot list. Break down the script to capture what you need on the day. No reshoots! Create your budget and keep costs in check. Schedule shoot dates and locations. Create call sheets, sides, and reports to share with cast and crew. Simplify script changes with revision mode. Track production expenses with cost reports. Stay up to date with apps for iPhone, iPad & Android. Mobilize your story using the #1 rated scriptwriting app in the App Store. View today & tomorrow's call sheets - anywhere, anytime. Create multi-sequence storyboards & block camera and lighting setups on or off set. Receive casting, rehearsal, and sides on set or on the go. Collaborative workflow tools for developing series and episodic content. Collaborative planning for teams producing features. Tools for creating stories and storyworlds. Write, plan, and manage episodic productions with up to 25 scripts per project. Industry standard script editing with integrated media. Set writing goals, track progress, analyze your writing habits, and review visual breakdowns of the content of your script - in real time. Create and track script revisions on the fly. Workshop ideas, develop the structure of your stroy, and instantly transform plot outlines in to scripts. Visualize your story shot-by-shot. Upload reference imagery or create your own using the shot blocker. Create script breakdowns quickly with a simple point and click interface. Plan out every shot you’ll need with details like framing, camera movement, and required equipment. Automatically generated stripboards and call sheets make scheduling your shoot easy. Fully synchronized in-depth budgeting with automatic variance and cost reports. Easily keep track of all production expenses. Keep it on the record and in one place. 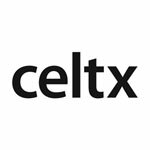 Allow your clients to review material without requiring a Celtx account and centralize their feedback in one location. Organize your studio members into groups and manage them across multiple projects. Share copies of scripts and production documents with anyone you choose. Clean up the clutter. Organize your projects in customizable files and store older ones in an easy to access archive. Import existing scripts seamlessly from a variety of file formats. Write your scripts anytime, anywhere. View everything you need to prep for the shoot - call times, scenes, locations, weather, contacts & other important details. Map out storylines and plot points quickly & easily. Take full control over how your story takes shape. Create multi-sequence storyboards and block camera & lighting setups on or off-set. Share casting, rehearsal, and shoot day sides on the set or on the go.